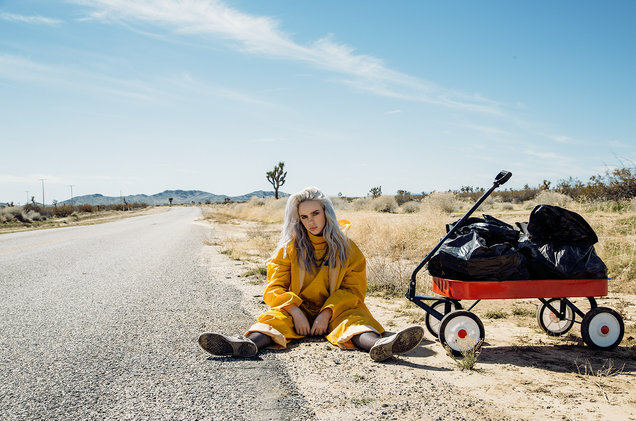 Budding pop sensation Billie Eilish took to Twitter to give the word that she's got a song with Long Beach lyricist Vince Staples. The 15-year-old artist premiered the track, titled "Burn," via The FADER and tweeted out the surprise drop yesterday (Dec. 14). Eilish expressed her excitement in working with Staples, calling him a "god" and mentioning that he was her number-one choice for a collaborator. "When we got him to hear it and he agreed to do, it was incredible," she told the outlet, "and the verse he did is so mf good!". The track is left bare, supported by booming kick drums and soft velvety keys. Eilish's poignant, baby-soft vocals float, expressing a fiery revenge. Vince Staples drops a deep and gloomy verse and helps with background vocals.